Description: This recall involves Women’s Iron Complete Dietary Supplement 60-count caplets. 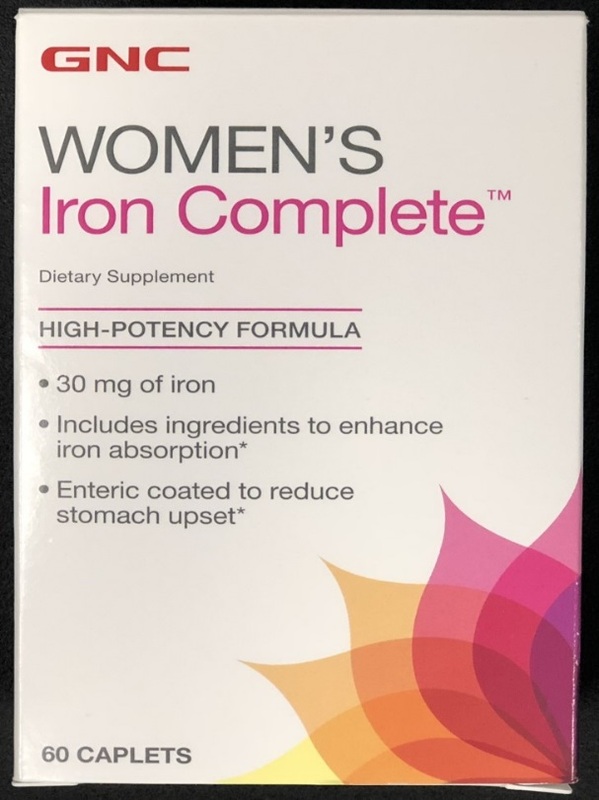 The recalled dietary supplement is in a white box with “Women’s Iron Complete” printed on the front in gray and red font. The box contains blister packets with a total of sixty caplets. Remedy: Consumers should keep these products out of the reach of children and contact GNC for instructions on how to obtain a refund. Consumers can return the unused product to their local GNC store for a refund. Sold At: GNC retail stores nationwide and online at www.gnc.com from September 2000 through August 2018, and online at www.drugstore.com from September 2000, through August 2016 for about $10. Distributor(s): General Nutrition Corp., of Pittsburgh, Pa.